U.S. corn merchants have sold in excess of 650 million bushels since early January, shockingly more than usual for any time of year, and the demand prospects continue to look good as of mid-March with the U.S. product plentiful and attractively priced. This comes despite earlier doubts from industry analysts that the 2017-18 U.S. export campaign could be as successful as the prior year amid increasing competition from South America and relatively elevated global stocks. 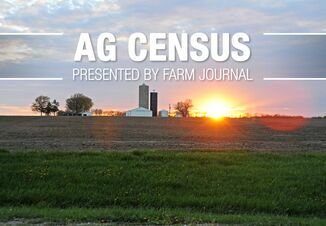 Just two months ago, USDA’s forecast called for a much more modest 1.925 billion bushels of corn to be shipped during the 2017-18 marketing year, which would have represented a 16 percent decline from the previous year. But things are certainly looking up as of late, and USDA has recognized it with a pretty historic adjustment. If the trend continues, USDA will likely need to lift the annual target again in the coming months, which could help bring domestic year-end supply near or below 2 billion bushels. At the beginning of the 2017/18 marketing year on Sept. 1, sales were sluggish and the hopes for U.S. corn exports were looking fairly bleak relative to the prior year. Late in September, total net sales were about 35 percent behind where they were a year earlier. Net export sales in the week ended March 8 of 2.5 million tonnes was the fifth-largest-ever volume for a non-rollover week since records began in 1990. The top four weeks all occurred between 1990 and 1994. However, the extreme lag observed early on in 2017-18 relative to the previous marketing year comes with an important caveat. Drought led No. 2 exporter Brazil to one of its worst-ever corn crops in mid-2016, so the country’s sales and shipments were extremely low in late 2016 through at least the first half of 2017. This boosted U.S. business for its 2016-17 year, especially early on. Recently, export prices and availability have sent sales through the roof. 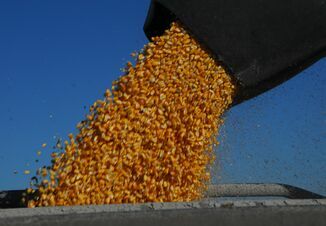 U.S. corn’s discount to its Argentine, Brazilian and Ukrainian competitors has opened up since the beginning of the year, and domestic supplies are plentiful. Severe drought in Argentina is curbing its exportable supply. On Thursday, the Rosario Grains Exchange cut its 2017-18 corn crop estimate for the No. 3 exporter to 32 million tonnes from 35 million previously. The country produced about 40 million tonnes in the prior year. Argentina ramped up corn production a couple years back when export quotas and duties were lifted for the yellow grain, which caused global corn buyers to lean more on the South American country for supplies than in the past. 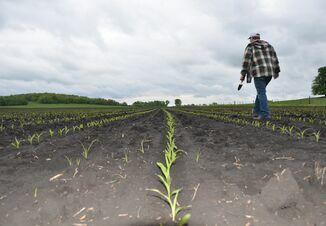 So now that the price is right for U.S. corn and the approximate size of Argentina’s crop – and Brazil’s, for that matter – is still unknown, many buyers, particularly the Asian ones, have stepped up purchases in recent weeks after having backed off the U.S. supply late last year in favor of South America. U.S. corn is certainly an attractive option right now and it may continue to be in the weeks and months ahead based on the harvest schedule and results out of South America. Brazil is winding down its corn export season to focus on the newly harvested soybeans. As of March 9, port lineups from William Shipping Agency showed just less than 1 million tonnes of corn scheduled to depart Brazil’s shore in the coming weeks. This compares with more than 17 million tonnes of soybeans scheduled to ship as of the same date, and nearly 8 million tonnes of corn back when its shipping season was kicking off in mid-September. Argentina’s corn harvest typically reaches one-third completion by the end of April, so there is still some time left to figure out how large the harvest will be. But estimates have been shrinking fast in recent weeks. Harvest of Brazil’s second corn, the crop known as safrinha that is sold internationally, does not typically start until June. This means Brazil will not start exporting en masse again until July at the earliest, depending on crop progress and success. In the nearer term, corn export sales are likely to be big again for the week ended March 15. Since March 9, at least 833,000 tonnes of U.S. corn have been sold according to USDA’s daily sales announcements. Percentage-wise, this boost amounted to 16 percent, the second-largest in 20 years behind the 17 percent from March to May of 2014. In the past, whenever the U.S. government made large upward revisions to corn exports in a short time, very seldom if ever did it have to backtrack on that target.